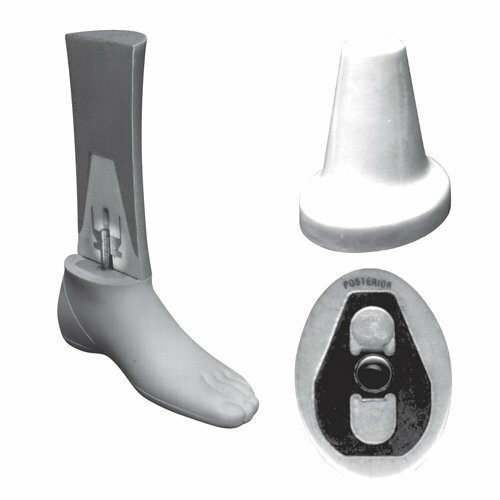 The unique design of this ankle block provides the prosthetist with an ankle shin interface that tests 5-1/2 times stronger than conventional blocks in the unlaminated condition. The rigid polyurethane foam provides a lightweight construction and the stainless steel plate delivers increased life when utilized with energy storing feet. Available in three sizes with metric or SAE threads.